Gabriella was born in 1967 at Mt Allan, Northern Territory. She is the eldest daughter of Clifford Possum Tjapaltjarri, one of the most famous of our Australian Artists (deceased 2002). She began painting at an early age, under the tuition of her famous father and often collaborated with him, producing important works. 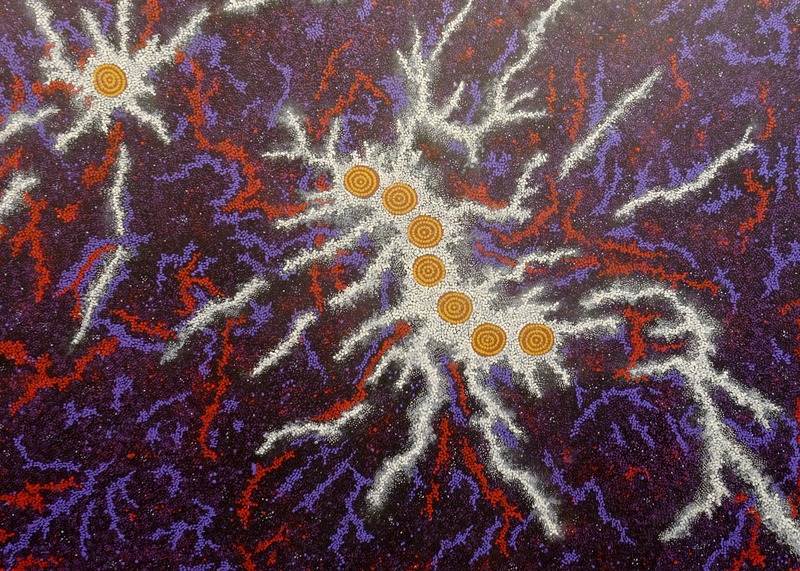 The content of Gabriella’s paintings is the Dreaming stories handed down to her from her paternal grandmother, Long Rose Nungala and the other senior women who taught her in her formative years – these include Grandmother’s Dreaming, Seven Sisters Dreaming (Milky Way), Goanna, Bush Tucker and Serpent Dreamings of her Anmatyerre heritage. 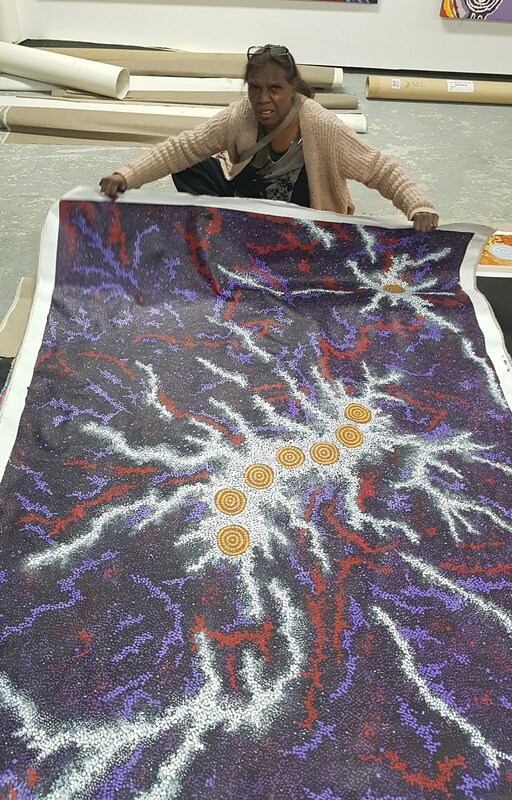 She was the youngest artist to be awarded the prestigious Alice Springs Art Prize whilst still studying at Yirara College at age 16. 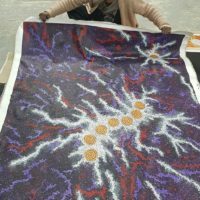 Her natural talent and knowledge of the women’s dreaming stories was enhanced technically by her association with the grass roots painters of Papunya Tula – her father’s brother Tim Leura Tjapaltjarri, Long Jack Phillipus, Johnny Warrankgula Tjupurula, and many others. Gabriella resides in Melbourne with her family and travels extensively in her profession, as did her late father. Her Prizes, Collections and Exhibitions both within Australia and Internationally reflect the high standing in which the artist is held and the undeniable investment potential of her very beautiful artworks. In the Dreamtime a group of seven Napaltjarri women were being pursued by a Jakamarra man called Jilbi. He had been sitting in a cave at irlkirdi practicing love magic by cutting off his long hair and weaving it by hand onto a wooden spindle, then performing songs and dances which people from far off could hear. Often he would entice young women to come to his cave and live with him. Jakamarra men were very proud of their successes when they practiced this magic, and spent much time boasting among themselves about their prowess. The seven women had no intention of sleeping with the Jakamarra man and ran away from him, journeying a long way across the desert until they were too tired and hungry to go any further. They sat down at Uluru to search for honey ants, then when they saw Jilbi approaching went to a place called Kurlunyalimpa, and changed themselves into seven fires. With the help of spirits at Uluru they went up into the sky to become stars. Ever since then they can be seen as a cluster of seven stars in the constellation Taurus, known as the Pleiades. 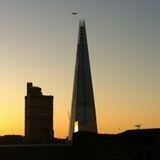 Jilbi transformed himself into the Morning Star in Orion’s belt, and continues to chase the Pleiades across the sky.